Jose Gastellum says ever since his son was born, he hasn’t looked like a normal child. “Like a week, I don’t know, maybe few days he started to get worse. We didn’t know what had happened because his forehead got very ugly, his cheeks had some lumps,” Gastellum said. 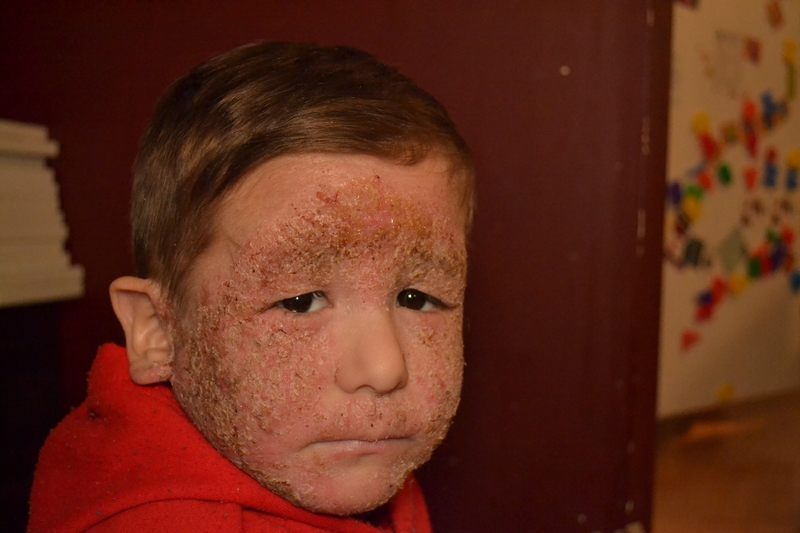 Four –year-old Dylan Gastellum has a severe form of eczema. It covers his entire body. His skin is dark red and scaley. It looks like a severe burn. “Well because you cannot see him like the pretty child that you say, ‘oh my child is so pretty.’ Especially because I can’t even give him kisses on his face,” he said. Dylan’s skin is so sensitive that any touch can cause pain. Even by rubbing his face it can make him bleed. His scabs constantly ooze. Doctors prescribed Dylan steroid creams and pills, according to Arlene Torres, Dylan’s mom. 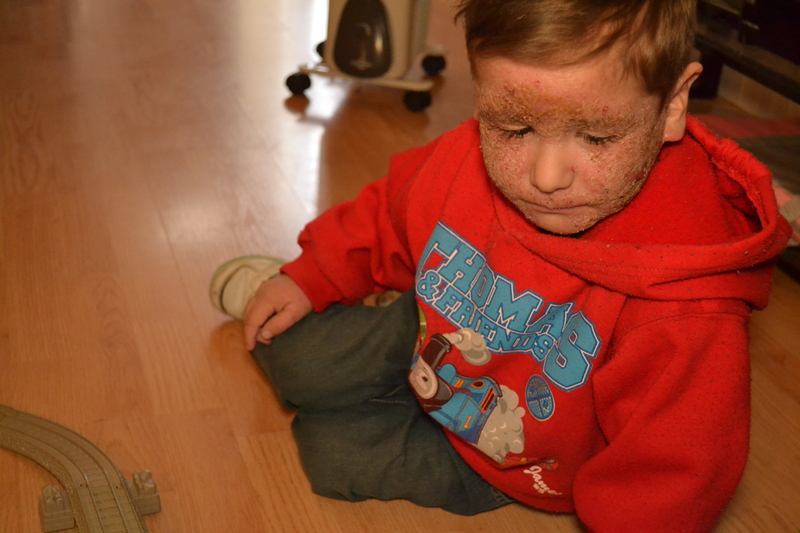 His condition was further complictaed by stunted growth, trouble learning and food allergies, she said. The family lives in small trailer home in a northern Reno. Torres keeps the house dark so Dylan can nap anytime, since he’s too itchy to sleep through the night. Torres says she does everything she can to comfort her son but he gets stressed out when he sees his skin flake off. “There was a time when he was taking the pieces, like the flakes, the skin flakes back to his skin. Like he was like putting it back, “ said Torres. Dylan has an 8-year-older brother named Edgar who gets frustrated when his little brother scratches. Torres says despite the family struggles they have remained united. “Even if it’s good or bad, we have been together in this whole path. So it’s, um, there’s some times when [my husband] tells me that there’s a reason why all these things happen to us. I believe that it’s to get closer,” she said. This story was produced for the Next Generation Radio Project. J. Diego Zarazua can be reached via Twitter @jdiegozarazua. My NPR story I did at the begining of summer while participating in the NPR Next Generation Radio Bootcamp at the University of Nevada, Reno.